NNA is trying to keep a tight handle on Nissan GT-R Parts. 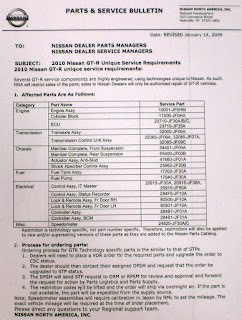 This memo was sent out to Nissan dealers restricting what they can and can not order. I am not sure how this will actually work out.